Help! Boxes and boxes of family slides and slides of trips in Midwest. Most in carousels. Hate to dump, but no one in family wants them. Hello there. Do you still have the slides? I live collecting old slides, they are fine capsules to me and helps a person to continue to live. My contact number is 941-592-4149. I’ll pay shipping costs. Thanx. Are you still collecting old slides? I live in the US. A friend has slides from their trips all over do you want them? Have a few hundred slides of plants, some travel in England. Plants are in BC, Canada. Yes, I’d love to have your slides, please. I digitize them but still keep them after. Can pay for postage and packaging, it would be via PayPal, if you have an account. I live in Derby, England. As a now long-retired art college lecturer (design history), I have many 35mm colour transparencies … mainly European architecture, design and fine art … Spain, France and The Netherlands + Italy/Greece/Scandinavia and also UK … from prehistoric, medieval to 20th c (I stopped in 1999!) … but also South America (for talks as a cruise lecturer). I have these boxed and generally classified … the majority are my own or purchased … though some are copies which are now probably unusable. I could arrange for transport from Edinburgh. I also digitize them but still keep them after. Just went through about 10 carousel trays of old slides. Picked out a few to digitize, but would like to find a home for the discards. Yes, I’d love to have your slides that you’ve discarded ones, please. Hi Kevin, I have some old slides – how do I get them to you? 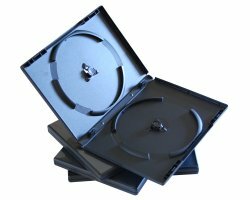 Do you want empty 35mm cassettes in their case? I have 44 twin cases . No I’m sorry I don’t 35mm cassettes in their case. If anyone wants some old 35mm slides I have approximately 150 to give away. Most are just family pictures and scenery in England circa. 1980’s. Let me know if you want them? Yes, I’d like to have your old slides, please. Will pay the postage for them via Paypal if you have an account. My dad has loads of old slides. Mostly architectural. Are you still collecting slides? Can pay for postage and packaging, it would be via PayPal if you have an account. I live in Derby, England. Hi Kevin my mum who lives in Durham is downsizing and has 6 boxes of slides (Kodachrome transparencies) to get rid of -mainlyscenes/landscapes: Yorkshire, County Durham/northeast, Lancashire, Derbyshire, Lake District. I’m currently with her but will be travelling back to beeston Notts tomorrow (weather permitting!) which might make it easier for me to get them to you if you are interested and able to reply before then please? I too have colour slides. Would you want them? How do I get them to you? I have boxes of old slides – my parents family photos going back to the 1950’s. Most of them are probably mountaineering, sailing, skiing, travel etc. May I ask why you are collecting old slides and what do you do with them. There are a few things I do with them. I digitze them for the aim to put them on Flickr, so that people can see them and if they want to download them. I have a few websites that I may be able to use them too and thinking of setting a website for them. Also, I’ve passed some on to a friend that uses them for slideshows, for people with dementia. Are you still collecting old slides? I’m going through my dad’s old slides from 1950’s to 1980s. Covering landscapes, buildings & family from rural N.S.W. , Victoria, S.A. and W.A. Are you interested in about 2000 slides from Australia? I have about 3,000+ slides I inherited from my father, and after digitizing them, I am not sure what to do with them. I feel bad throwing them away. Most are scenery shots of Death Valley, California, Glacier Park in Alberta, Canada, and many mountain pictures taken in northern California (which is where I live). 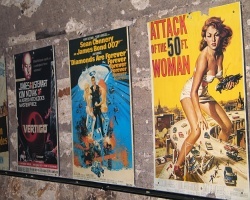 Are you interested in them? Yes, I’m very interested in your Dad’s old slides. Sounds like your father loved taking photo’s. I’m in England so the cost will be a fair bit, but I can pay for the postage via Paypal. Hello Kevin I have 500 or so slides taken by my uncle in the 1960s and 70s of Yorkshire, Lancashire, Derbyshire, Lake District, Durham and the northeast that I’d like to find a home/new owner for. Would you like them. I live beeston, Notts. I left a message a couple of weeks ago but wonder if you missed it? I’ve got about 30 carousels of slides from the 1950s and 1960s, mostly showing touristy type stuff in the Western U.S. If anyone would like them, please e-mail me at jrhtp@ucla.edu and hopefully we can work something out. I have hundreds of slides. Trips to Europe as well as the Uk. Yes, I’m very interested in all your old slides. Sounds like your loved ones liked to take photo’s. I’m in England, but I can pay for the postage via Paypal. Please let me know if you still want to give them away. I will send you my email so that I can pass my address on to you. I have some of my late father’s many slides that he took for reference pictures as he was a keen painter. Most of them date from the 70’s and 80’s, and are of many areas around London and the UK, I-O-W, Norfolk, Thames valley. They are all very well labelled in boxes, he was very good at that! Please contact me with your details so we can arrange postage etc. This is a message to Kevin…are you still interested in slides? How about carousels? (Just found this thread and have inherited many slides and carousels.) Can be contacted directly by email. Thank you. I have tried to contact everyone who has photograph slides that want to pass them on to me. I saw an old window with these glued on it. Looked like stained glass. Also keeps them out for viewing instead of closed up. Enjoy them. You could use tacky gum and do around the edges of a set of Windows, or on a door with glass. Good luck. I have a lot of travel slides from Spain and Latin American countries. Some are very good. I need to find somebody who is interested in having them. They date from the ’90s. I’ve just been going through my late brothers slides. I’ve kept half of them would you like the rest. Slides of family, Dumfries, London and Wiltshire. None of them are labeled. Loads of old slides. Does Kevin still collect? I have just discovered this thread so unfortunately they are now all loose in cardboard boxes. Yes, I’m very interested in all your old slides and I am real. I have some slides from my aunt who died they are of travels. Are you still collecting them? I have some old slides from the 80’s that I would love to find a new home for – approximately 400. Slides are of Africa (Sudan mainly), South Pacific and Europe. I also have a working Kodiak Carousel 4400 projector with 6 carousel trays. Any one interested, please contact me at evysand2@gmail.com. I am an artist and i have slides of my work. I want to downsize so if you’re interested in them let me know. Stretch transparent fabric onto a frame. Glue slides onto the fabric and use as a screen against lit areas. 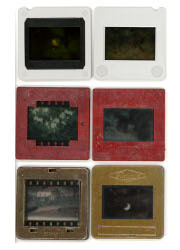 Are you still collecting photographic slides? 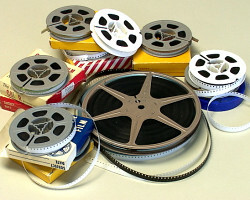 We have a significant number of 35mm and larger square slides from 1960’s through to 1970’s. Mainly Austria, Germany, Switzerland and some UK. All appear to be catalogued. We’re only 6 miles outside Derby. Yes, I’m still collecting slides and would be grateful to have them. I’m not far from you, as I live in Alvaston. Maybe we could arrange to sort how we can have them. I am the person who wants to still collect photographic slides. Many people who have asked me if I still want them and the answer is yes. I have replied to nearly all the people but they don’t seem to get back to me.I have tried to contact everyone who has photograph slides that want to pass them on to me. I have come across this web site whilst trawling through the web. A couple of years ago, my 101 year old grandfather passed away and my parents ‘inherited’ all his old slides, along with those of his late sister. There are boxes and boxes of them and my mother diligently went through them, selecting which of them would be passed on to any of several family members. This job done, the rest were up for disposal, something I couldn’t somehow bear to happen to them. They were thus transferred to me, since when they have sat in my storage room. The vast majority of them depict scenery, stately homes, holidays in Australia and New Zealand etc. and very few of them have people in them, hence the lack of interest from family members. I had hoped that I could find some sort of photographic library which might be interested in them but have drawn a blank. I also thought I might try the National Trust, many of whose properties are depicted in the photos. I have read your replies to people looking to dispose of their collections of slides and you seem to want anything from anywhere! I wonder whether you might be interested in these slides of mine and, if so, what you actually do with them all. I should be interested to know the answers to both these questions and should be very grateful if you could email me at your convenience. I have a number of commercially produced slides of Argentina and Tasmania. I would be happy to post them to you myself, Kevin if you are still collecting. I have some 500 to 750 travel slides from Guatemala, Germany, Switzerland, France and England, as well as a series on old English churches complete with numbered lists and even written commentary, along with many pamphlets of the churches. These were all taken by family. Unfortunately, I live in Philadelphia, PA, so I would assume shipping would be quite expensive to England. I assume you are not interested in personal types of slides, of which I also have many. Wow, I’d love you to gift the slides to me. Sound like great slides of good interest for me. Travel slides from all those different counties. The series of old English churches with all the information that you have is great. As for the personal types of slides are ok as long as you don’t want the people recognized. I will pay for shipping of the slides and information of the churches. I’ll send the money for postage if you let me and use PayPal to send it to you. My husband reminded me we also have slides of Spain and Scotland that we took. Please use my personal email to reply to this with the address we should box all this up and send to, and we can get it ready and determine the cost. Do you have a preference as to how to send it? I will research how to send ‘media’ overseas, but if you have previous experience of receiving packages of this type from the US, please let me know how they were sent. I can’t see your email address in the reply. So you use mine which is as follows: wood365@yahoo.co.uk, then I will send my home address. I have had people send me their slides in shoe boxes, which you can pack in a lot of them. Have had parcels of other things from the USA, they usually had US Mail on them. There is a number of shippers DHL is one. I think you go to the post office and tell them what you are sending. Then attach a Customs label on the package, which then you state what it is your sending. Have you responded to my email? I haven’t received it, if you have. I’ve been checking my spam, as well. We are getting ready to move and I really would like to take care of this asap. Still waiting to hear from you. Have you changed your mind? I am doing all I can to get through to you. Please use either of these addresses. This is very disappointing. I guess you find something oddly enjoyable about pretending to be interested in obtaining slides. If anyone has ever actually been able to work this out with you, I’d be interested to hear from them. But this has obviously been a waste of my time and my faith in you. If I am wrong about you, then give a reason to believe you are actually not some sort of fraud. Horray looks like I’ve got the messages, more than I expected. So you see I’m not a fraud. Hope you read all the other messages just show you.